Find ALL announcements from The Craft Corner here!!! This will range from Challenges and Contest, events that will be hosted, peeps that are in the spotlight and more!!! So check back often to stay up to date!!! Feel free to share what you have for sale and what you like to trade!! I"M NOT RESPONSEABLE FOR ANY SALES OR TRADES!!! Be sure to give complete details and contact info so that fellow crafters know how to contact you!!! YOU CAN POST A LINK TO YOUR ETSY AND OR EBAY STORE HERE!!! I CARRY EVERY RIGHT IN THIS SECTION TO ACCEPT OR DELETE INAPPROPRIATE CONTENT!! Nothing is more exciting than having your creativity in the spotlight!!! I love to "Craft it Forward". So be sure to share your creativity in the gallery so that you can have a chance to be in the spotlight!!! As a retailer I strive to stay in the loop of product news and industry updates!! You have too when you want to bring "YOU" the consumer the latest must haves and trends in the crafting industry!! So this is where you can find all the updates I find in one place. Read up on company News and product reviews from me and other fellow industry leaders. Being kept in the loop adds a professional aspect to your crafting and too makes it easier and cost effect to know the latest news!! When you can WIN any product it is a plus!!! When you can debut your work and get noticed on a high level through a contest or design call, it changes your perspective towards your work!! So here please post any blog hops, blog candy to win, design team calls, Publication calls, Contest, and more!!! Many of you like me, have a show or announce classes that are in the works!!! This can range from Ustreams, Youtubes, and more!!! If you have a class coming up and would like to announce it here, feel free to do so!! Be sure to share links to where you are holding your classes. Please be sure to give good details and pics is possible of what you are going to do!! 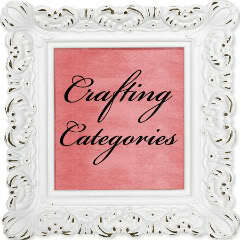 Here is a list of Categories of Crafting!! They range from Traditional Scrapbooking to Jewelry making!! Each category is moderated and will bring you creativity and inspiration. Learning new ways to use ribbon is a plus in my book!!! With SOOOOOOO many styles why not find ways to create with this fabulous fiber!!! Share ways to use and create with Ribbon/Fibers. Show us what all you can do with this craft!! Be sure to share blogs and links to ideas and more!!! Die cutting and Electric Die Cutting is like the easy button to crafters. How easy is it to pull out a die or download one and "BAM" you have an instant design!! Share your latest die cutting ideas, how to's, blog and links to show us NEW and traditional ways to create with this fabulous invention!!! Altered Journals are fabulous!! They tell people's stories in the most unique ways!! I love to see the many designs that are created. The mediums are used and the techniques that are created. If you are an Altered Journal Artist, share your creativity here!! Share blogs, your projects and more!!! Water Coloring is a old technique but new to some like me!!! The crafts that are created with water colors is light and day to the original Crayola colors we see in the kids crafts!!! Luminart is one of my favorites!! So if your into the type of medium, share your ideas and techniques with us!!! Beading is such a beautiful craft!!! Using beads in your crafting can add the perfect touch!!! Use beads in Dangles, in shadow boxes and more!!! So share your ideas and projects in ways your use beads!!! If you find a cool way to incorporate this medium into everyday crafting be sure to let us know!! Crafting for the Holidays is so much fun!!! Even though we dont find ourselves crafting the holidays all year long, finding ideas is a must!!! Share any holiday projects and ideas here!!! Easter, Christmas, 4th of July, St Paticks Day.... The content is endless that you can add here for the HOLIDAYS we all celebrate!! Card Making is one of the most single things I believe has taken the crafting industry by storm!!! Could it be that it is easier to create on a smaller canvas? I think with all the fabulous ways to put something in a card form is what takes the cake. So share you ideas and creations here!!! Share links with us and tell us what is the latest card style that we must create!!! Canvas Art is a new craze!! Bringing the scrapbooking off the page and onto your wall and or easels is so fun. Share your ideas of what you created on a canvas!! This can range from painting, collage, paper crafting and more!!! DIY (Do it Yourself) projects are always awesome!!! To take everyday items and make them to be used for cool purposes, create fun projects, or even to use something in a non-conventional way is always awesome in my book!!! So if you have found an idea, created one of your own, or simple what some advice of what you can do, share it here!!! Anything to make something easier is always a plus in my book!!! Nothing is more nostalgic that Vintage!!! It reeks with history and speaks volumes in telling a story!! This category is dedicated to all things Vintage!!! I want you to share your love for this style!! Share blogs, fabulous finds, projects, pics, links and more!!! Leave no page unturned when sharing things vintage!! I think Shabby Chic will be around forever. Who does not love a little pink, a touch of bling, and something old? I do!!! So if you are like me, share your fabulous Shabby Chic favorites. This can range from blogs, projects, your creations and more!!! Share it here!!! Flowers are all the rage!!! Learning news ways to create them is just as addicting as looking at them!!! So for all of you flower girls out there that love to create these beauties, share your ideas and how to's with us!!! Show us something that you have found or have come up with yourself!!!! I can see the creativity blooming!!! Yeah, I know that last sentence was cheesy!!! But it works lol!!! Many you are dipping into the Digital world!! I love Rhonna Farrer and all the work she does!! There are many wonderful sites and new techniques to be learned and visited!! So if you are into this kind of crafting, share what you have found and ways we can learn digitally!!! Tags are very popular!!! Tim Holtz has introduced us to fabulous ways to decorate and alter wonderful tags!!! This section is is dedicate to TAGS!!! Show us ways to decorate tags and share what you find!! For those of you that like to take Scrapbooking off the page and into something 3D, this section is for you!! Show us ways to make to fabulous #D projects!!! This can be anything!!! There are no Limits!!! Cant wait to see what you create!! This category is dedicated to those of you that like the "Traditional" looking of scrapbooking. Working with paper and page layouts is what is section is about. Feel free to share your ideas and tips on how to decorate a page or double layout!! This section is for all you stamping Divas!!! Show us your favorite techniques and share with us what you have created!! !Tell us about the latest must haves in stamps and more!! !